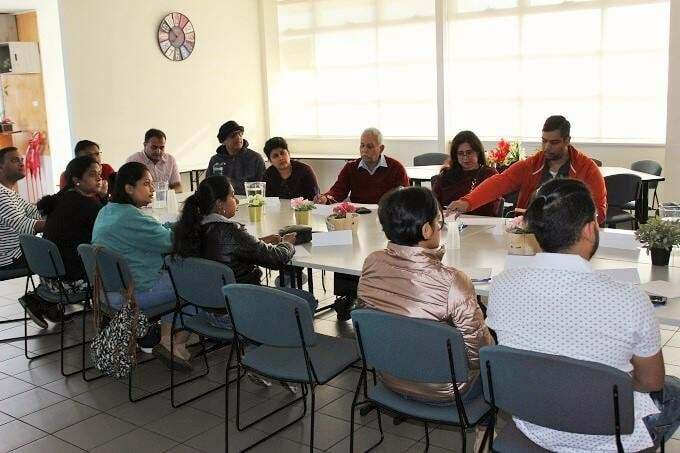 A team of 40 volunteers has got together to plan Sri Bhadrachalam Sitaram Kalyanam Utsav being planned for 3rd and 4th of November to be celebrated as a part of Hindu Council of Australia’s annual Diwali festival. This year is a special occasion. It is the 20th year for celebrating Diwali in Australia. Sri SItarama Kalyanam will have extensive decoration, cultural program and possibly a running commentary on the marriage of Rama and Sita being performed on the stage, as well. Temples want to have Rath-Yatra as a part of the marriage procession and it all depends on various permissions needed from the Police and road authorities. After the procession comes into the Ground it is being proposed to have a huge “Kolla-attam” i.e. Dandiya style dance and to get a huge number of people of all ages to participate in it. During the 3 hours allocated to wedding there will be some performances with the dance schools and teachers if feasible. During the evening cultural time there will be a mix of other performers. There is still a lot of detail to be worked out. so give the team some time to get back to you with more details. Rest assured it will be a packed program and evenly balanced program. Would you like to help with decoration of this grand community event. If yes, then please express your interest by filling out the volunteer form here. You can also express your interest to receive further information about the event by signing up here.